Remember the last time you went to a restaurant and had an experience so brilliant that you immediately reviewed it on TripAdvisor? No? How about a bad experience in a café, where the waiter was rude and spilled coffee on your new top? We’re willing to bet that you remember the bad experience a lot more. That’s because great customer service skills are super important. Helping customers get what they need in a friendly and efficient way is a key part of most businesses. Whether it’s the shop assistant at a clothes store helping find your size, or the teller at the bank who helps you with your account. In fact, taking care of customers is actually a skill that’s crucial in all sorts of jobs – everything from legal careers to accountant jobs, social media roles to the tourism profession. Basically in any career where you’ll be working directly with clients or customers, you’ll need to develop these abilities. 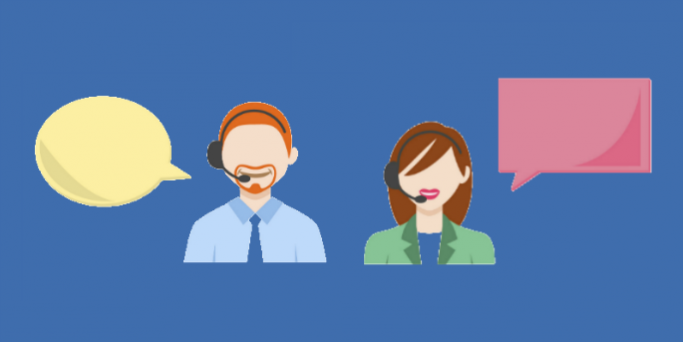 So in this guide, we’ll look at 7 of the most important customer service skills, and how you can start developing them right now. Being able to clearly and carefully explain products and systems to your customers is probably the #1 most important customer service skill. Whether you’re interacting with customers face-to-face, on the phone, or even via email or messenger, you need to speak clearly, loudly and in a positive tone of voice. Part of communicating well with others is being assertive. You should communicate in a way that’s direct and confident, that shows you’re in control of the situation, but is not aggressive. Try out your assertive and clear communication skills the next time you have to do a presentation in school. Explain the information directly and confidently. Listening sounds pretty obvious when it comes to customers, right? But really listening to what others say is harder than you might think. Let’s say a customer calls up with a complaint. You can actively listen to what they’re saying by asking questions and clarifying their points. If you’re in person, use positive body language by making eye contact and nodding as they speak. This shows you’re really engaging with what the customer is saying and that you care. Practice your active listening skills next time you’re in class. Truly listen to what your teacher is saying, ask questions and check facts. As anyone who regularly works with customers will tell you, patience is essential! Customers will sometimes be frustrated or disappointed, so you have to take the time to understand what the problem is. Things can get stressful and hectic when you work with customers. You might be dealing with an angry customer while your boss is putting pressure on you to resolve the problem. Being able to work under pressure is an important customer service skill. It’s not always easy, but don’t worry: it’s something you can practice. Next time things get on top of you at school or work, try taking a big deep breath and then making a list of all the tasks you have, in the order of importance. Calmly work through them, checking them off as you go. Let’s imagine you’re a receptionist at a vet, and a pet-owner needs a specific medication for their puppy that you don’t have on site. How would you solve the problem? Thinking on your feet and adapting to unexpected situations is a crucial skill. Have you ever heard the phrase, “the customer’s always right”? Well, that’s only partly true. Sometimes the job of a customer service professional is to find a balance between the customer’s needs and the company’s needs. And for that to happen, you need to know how to negotiate. Practice finding a middle ground and compromising next time you’re playing a team sport or debating an issue. That’s right – one of the skills it’s handy to have when dealing with customers is a sense of humour! You’ll be able to manage stressful situations more easily, get along with customers – and even make them laugh! How many of these customer service skills do you already have in the bag? See how many of these key employability skills you have. What skills do I need for a career in social care? What is networking — and how do I do it?